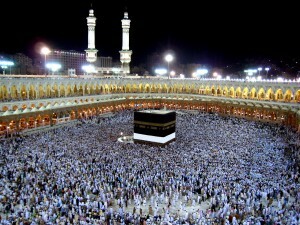 Thousands of people in the Muslim community participate in the all-important pilgrimage to the Hajj every year, in which many will make this Sacred Pilgrimage at least once in their lifetime. Yet despite the journey they face, there are certain risks involved, particularly illnesses that thrives and spreads quickly in mass gatherings, such as the Hajj or Umrah. One of these diseases, meningitis, can be avoided by being vaccinated. The Meningococcal (ACWY) vaccination not only provides immunity from this disease, but also reduces rates of carriage. This means families and friends do not have to worry and can concentrate on and enjoy this once in a lifetime holy journey. This vaccination is mandatory, a rule enforced by the Saudi Government, ensuring everyone is vaccinated, providing a safer environment for travellers. Following collaboration between the Muslim Council of Great Britain and Novartis Vaccines, the Exeter travel clinic ‘Travel Health Consultancy’ is providing this vaccine at a greatly reduced price. Anyone who requests the vaccine will also be provided with a vaccination certificate proving that they have protected themselves against the virus. The vaccine will be provided, administrated by a trained professional and a certificate presented for no more than £35. All this is provided in order to make the journey as safe as possible for those in the Muslim community.